"When the Allah created the world, - is told in an old legend, - that one people managed rich woods, corpulent fields and the wide rivers, to another beautiful mountains and blue lakes. The Kazakh has received only steppes. Insulting it seemed to the Kazakh, and he has asked the Founder to give and to it a particle of magnificence of the nature. And here the Allah выскреб from the bottom bags also scattered in the middle of boundless steppes the rests of picturesque mountains, rocks and lakes with hrustalno-pure bluish water, has scattered a generous hand the emerald meadows covered with colours, keys with ice cold water and cheerfully murmuring streams. Has covered mountains with a motley carpet from various trees and bushes, has occupied woods animals and birds, lakes, Fish, meadows. Insects and butterflies whom you will not meet in steppe on hundred versts around." Start new 2011 year and new UNFF programs and expeditions. We will be active as UQ44Q starting around 09:00 UTC on July 29 and finishing around the same time on July 31. Kulsai (or in Kazakh – Kolsai) lakes are called the ‘blue necklace’ of Northern Tian Shan. Once you see them you won’t be able to disagree with that statement. 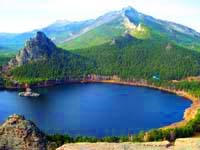 Three beautiful lakes are situated in the eastern part of Kungey Alatau mountain ridge, 300 kilometers away from Almaty. The closest center of population is Saty village (280 kilometers away from Almaty). Actually the name of the lakes – Kulsai translates as the ‘Lakes in the ravine’. Lakes have beautiful deep-blue color, surrounded by flowering grasslands, cliffs, Tian-Shan fir woods. If you decide to visit Kulsai the road will bring you to the first lake. The distance from Almaty to the first lake is 330 km. The altitude is 1818 meters, the length is 1 kilometer. There is a tourist camp and a guest house near the lake. Second (middle) lake is the most beautiful of all three Kulsai Lakes. It is 5 kilometers away from the first one, altitude is 2252 meters. Third lake is 6 kilometers away from the second lake, the difference in altitude is 800 meters. Water in the lake is very cold. In summer the temperature in this area is about 30 degrees centigrade at daytime and 5-10 degrees centigrade in the evening. Tourist season: from June through September.In another 6 kilometers, on Kyrgyz border, you will reach Sary-Bulak Pass (altitude is 3278 meters) with gorgeous panorama of Issyk-Kul Lake. The whole trip is around 25 kilometers. The horse ride will take one day; the hike – tree days. In gorgeous canyon of Kotyrgan River you will be able to fish trout – the queen of fish. plan complex expedition across East Kazakhstan under degree programs Kazakhstan Flora & Fauna, Lakes, Rivers and Mountains of Kazakhstan. Prefers frequency for SSB: 3744, 7144, 14144, 14244, 18144, 21244, 24944. Since May 12 begins work station UP50ASTR ( UNAO #004 ), operator Mikhail UN6GK. QSO’s for: WAO Award and "The Columbus of the Cosmos” Award. QSL VIA EA7FTR. Information on www.qrz.com. Korgalzhyn UNFF-017, Lake. Isey UNL-052, river Nura UNR-008. 4 September 2010, a group of Almaty radio amateurs will be activate on "Medeo National Park” (UNFF-030). Bands: 80-10 m. The main activity is in the 30, 20, 17 and 15 meters. Activation will take place only in one day. Mode - CW, SSB and DIGI. Team: Andrey (UN8GU), Sergey (UN8GF), Eugene (UN6GD) and Mike (UN8GC). Equipment - IC756, IC7400, IC718, FT450. Ant. : SkyBlazer M1, Cushcraft R8, Inverted Vee. The expedition will not use the power amplifiers. See you on air! 73-44! under degree programs Kazakhstan Flora & Fauna and WFF. UNAO-001 - the program space observatory under the program "Astronomical observatories"
UNM-036 - top 3333м under the program "Mountain of Kazakhstan"
UNL-067 - the program "Lake of Kazakhstan"
UNAO-002 - As a space observatory under the program "Astronomical observatories"
UNM-037 - Plateau ASSY under the program "Mountain of Kazakhstan"
KDA-Q13 - On program KDA Talgarsky area. Work is planned on all bands on SSB and CW. Bands of 14-18 MHz. Also work will be on ranges 3.5, 7 and 10 MHz. TEAM: UN6GAO, UN7GWG, UN6GG, UN7Z, UN7ZZ (additions are possible). Work from areas KDA which are activated - will be conducted as permanently, and/M. Korgaldzhinsky reserve: visiting of a museum of reserve, supervision over birds and work on air. Roughly departure: on September, 2nd (changes) are possible. Bands: 40-10, warc. (cw, ssb) ". Op. Mike UN8GC and Oleg EX8MLT. QSL only via direct (UN8GC) or LoTW. We continue to be active as EX9FF for World Flora & Fauna program where we active Issyk Kul State Natural Reserve EXFF-002. To date we already have 400 QSOs scored in CW on 30-20-17 m bands. We hope to bring the count to 1000 QSOs by the end of this week. On August, 5-6th - Alexander UN7EDG and Oleg UN7ECA plan to work from park Burabay UNFF-003. Location - lake "Small Chebache" UNL-051. In the north of Akmolinsky area National park "Burabay" is located. 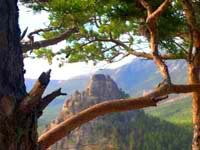 It is a recreational pearl of Kazakhstan is in the fantastic mountain district filled with mystical miracles. The magnificent pine woods, enormous rocks, fantastic tops under the form sometimes reminding Egyptian pyramids are divided by silent lakes. Geographically this corner carries the name the Kokshetausky height, and local guidebooks call it "the Kazakhstan Switzerland". The state national natural park "Burabay" is created in August, 2000 and is in conducting the Administrative office of the President of Kazakhstan. In park territory there are 14 lakes with the area of a water table about 1 sq. km everyone and a considerable quantity of smaller lakes. The vegetation in park territory is presented wood, steppe, meadow, marsh and saline by types, the flora totals about 800 kinds of plants. Vertebrate animals are presented by 305 kinds. Kulsajsky national park of Almaty area (UNFF-008) KDA-Q16 (new one). Kulsajsky lakes represent three mountain lakes connected among themselves by the river Kulsaj. The first Kulsajsky lake has the extended form and about 1 km, a slope of a southern exposition drier, northern - more damp. It is at height about 1800 metres. The second Kulsajsky lake has abrupt slopes and settles down at height of 2400 metres. The third Kulsajsky lake small on the size also is in immediate proximity from a snow area. 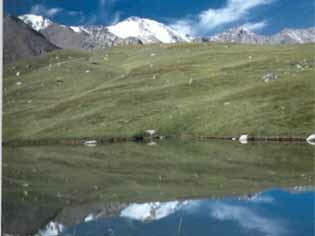 The height above sea level about 2700 m. the Big Almaty lake is a water basin formed by a dam on the river Big Almatinka. It is the basic source of water for the city of Alma-Ata. Participation of following radio fans - Andrey Kvochkov (UN8GU), Alexey Pomazkin (UN9GG), Michael Chirkov (UN8GC) is expected. The list of participants will be probably supplemented within last week before departure. On air the command will work on ranges from 80 to 10 m CW/SSB/DIGIMODE as call sign UP44Q. As far as it is known to an expedition command, Kulsajsky lakes never were activated before on amateur HF ranges. So we invite to work with unique territory! Expedition structure: UN9LU/A, UN9LBF/A, UN9LCN/A, UN9LFL/A, UN7LAN/A. Work is planned for all KB ranges (except 160м). A kind of radiation SSB, CW, DIGITAL. The area of Naurzumsky reserve makes 191,380 thousand in hectare. In its territory 288 kinds of birds live, 33 kinds are brought in the Red book of Kazakhstan, 12 of them - in the International Red book, 44 kinds of mammals, 10 kinds of fish, 3 kinds of reptiles and 3 kinds amphibious. 687 kinds of plants are. The most part of territory of reserve is not touched absolutely not by a civilisation. Territorially settles down in areas Naurzumsky KDA L14 and Auliekolsky region KDA L10 in approximate geographical co-ordinates 51.77.22 N / 64.54.27 E. The decision on inclusion of territory of Naurzumsky natural reserve in in the list of objects of the World heritage of UNESCO was accepted on July, 7th, 2008 within the limits of 32nd session of committee of this Organization in Quebec. In reserve UNFF-004 the storm has destroyed tents, antennas and water has got in transceivers. Thus participants have decided to reduce expedition time. Participants have decided to give a gift for radio amateurs, and last 48 hours worked from border of two reserve of nature UNFF-025 and UNFF-005. Participants are grateful to all for QSO's. WFF comprehensive expedition in Kazakhstan-"Zhetisu-2010"
WFF expedition on national parks and wildlife reserve of Almaty oblast-" Zhetisu-2010 ". Altyn-Emel National Park is a national park in Kazakhstan. It was created in 1996. The park covers 90 square kilometers between the Ili River and the Ak-Tau mountain range, near Lake Kapchagai, and consists mostly of desert and rocky terrain. The park contains the singing sand, a large dune which is famous for the noises it produces. Charyn Canyon is an 80 km canyon in Kazakhstan on the Charyn River, 200 km east of Almaty, close to the Chinese border. It is part of the Charyn National Park, which is established February 23, 2004 and located within the territory of the Uyghur and Kegen Districts of the Almaty Province. It stretches 154 km (96 mi) along the Charyn River in the northern Tien Shan mountain range. In parts it attains the depth of 150-300 meters (492-984 ft). One part of it is known as Valley of Castles for its unusual rock formations. The width of it ranges from 20-80 meters (66 – 262 ft). The length is 2 km (1.24 mi) long. Ile-Alatau the state national natural park UNFF-005 is located on northern slopes of Zailijsky Ala Tau in immediate proximity from southern capital Almaty. Its extent from the river Chemolgan in the west and to the river Turgen in the east makes 120 km, and in a diameter reaches 30 km. The area of park of 202 292 hectares. UNFF-025 Almatinsky reserves of a nature . UNFF-025 Almaty reserve. The area - 71700 hectares. The highest point of reserve is the peak of Talgar (5017 metres above sea level). In reserve it is possible to meet 29 kinds of plants and 22 kinds of the animals brought in the Red book. The flora is made more by than thousand kinds of plants. 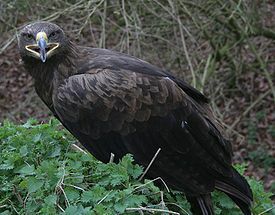 Also the reserve fauna is rich also. Among its inhabitants there are also unique kinds, to meet which it is possible only here. For example, the Tjan-Shansky birch, apple-trees (aport - name of apple), an iris, the Tjan-Shansky brown bear, the Brown wolf and many other representatives of the animal and vegetative worlds. UP0WFF-Sergey UN6GAO, Alexander UN6GG, Egor UN7GWG. From 29 May to 4 June 2010, WFF amateur expedition "Zhetisu-2010" on national parks and wildlife reserve of Almaty region under the auspices of the Foundation WFF World Flora Fauna). The motto of the expedition: "SAVE SEMIRECHYE!". The purpose of the expedition: Expedition on national parks and wildlife reserve of Almaty region of the Republic of Kazakhstan is to attract attention of Kazakhstan and the international community to the theme of nature protection and the environment. The expedition will use the visit national parks and wildlife reserve of semirechye located in Almaty oblast, and from their territories of the amateur radio sessions with representatives of the world amateur radio community. Expedition Zhetisu-2010 will take place in the framework of environmental education and environmental amateur radio programmes to support especially protected natural territories of Kazakhstan. Expedition on national parks and wildlife reserve of the Republic of Kazakhstan is organized by members of the radio amateur youth organization-Almaty Radio Amateur League (ARL) with the participation of members of the "The Kazakhstan Federation of Radiosport and Radio Amateur” (KFRR), and radio amateurs, not belonging to any radio amateurs organizations. Among the objectives of the expedition-bring to the world community of information on natural values of Kazakhstan, promoting the need to preserve the natural resources of our country for future technologies, while also attracting attention of the population of Kazakhstan and the entire world to the beauty of nature of semirechye. In addition to the above parties other. So, according to preliminary information, the possible participation of Valeri UN7GS and Victor UN7QBQ. Work on the air will be implemented in all HF bands (with the exception of 160 m), and also on VHF ranges from 5 jobs simultaneously in modes of CW, SSB, digital. The Turkic languages Semirechye — Zhetysu (KAZ. Zhetisu), Jety-Suu (kirg. Zhetisuu) is a geographical and historical area in Central Asia. The area is located between the Lakes Balkhash in the North Sasykol and Alakol in the Northeast Ridge Dzungarian Alatau mountains to the Southeast, the Northern Tien-Shan in the South. Seven main rivers, from which the name of the region: Or, Karatal River, Arrival, Aksu, Lepsi (LEPs), Lepsy, Baskan, Sarkand. From history. In the historical literature of Semirechye often include more western areas, including also the Chu River Valley. In the 1st millennium BC the territory lived tribes Saks; in the second century b.c.-5th century BC-Wusun. In the mid 6th century BC with the Western Turkic kaganate, in the 8th century-State turgeshej (758) and karlukov (766-940). In the late 10th century Semirechye entered the State of the time, since the 12th century in-State karakitai. At the beginning of the 13th century the territory conquered by the Mongols. In the 16th century on the territory of semirechye formed Kazakh juz. In the mid-19th century the region became part of Russian Empire was Slavic, mostly Cossack, colonization of the region. (C) 1867 there was Semireche area, which also included the Chuy Valley itself Semirechye and mountain regions. Semirechye currently located mainly at do Kazakhstan (Almaty oblast, partially Zhambyl); upper Or included in the Xinjiang Uygur Autonomous Region of China; part of the Chuy Valley, within the extended historical interpretation of semirechye of Kyrgyzstan.